It’s a Human Hair Eyelash with a story! 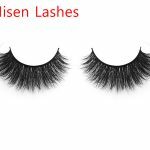 Instructions on the use of a small editor Human Hair Eyelash.Quick and beautiful Human Hair Eyelash.Pruning false eyelashes Human Hair Eyelash. 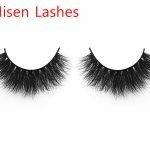 When Pruning the length of the stem of the false eyelash, you should pay attention to it, in the middle of the eye to eye distance of about 2 mm distance, there is no eyelash, so let false eyelashes inner eye Empty 2 mm Human Hair Eyelash. You can take rough measure your eyelashes on the eyes Human Hair Eyelash. The eyelashes at the end of the eye are longer, so the eyelashes from the inner corner to the end of the eye gradually grow. (at the end of the eye too long, it will be easier to come unglued, affect the effect of false eyelashes. But this is a personal preference for pruning. Attention: the false eyelashes of two eyes must be cut symmetrical, in order to present the most perfect natural effect. Pasting false eyelashes. 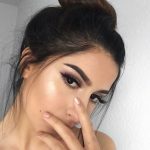 Finally to the most important part!You remember that before Pasting false eyelashes, firstly paint eyeliner, with eyelash curler curling the eyelash out radian. First, stick the mascara, the mascara should be applied to the lower part of the false eyelash stem, the ends of the stems should be painted more and the middle part can be smeared properly, so that the false eyelashes can be well fixed. When you paste the mascara, remember to notice the properties of the eyelash gum. Some of them belong to the quick drying type (no need to wait for direct sticky). Others need to wait for half dry time to stick. After everything is ready, the false eyelash stick from the tail first, then adjust the false eyelashes along the shape of the eyes, and gently push the false eyelash to the inside with the fingers, so that they can be fixed. After two eyes sticking with false eyelashes, you can check whether the eyeliner is covered by false eyelashes, so that the lines are not smooth, which can be added again at this time.After the brush mascara, let the eyelashes and false eyelashes mixed into one, brush it more natural. OK! Both eyes are done! Beautifully and beautifully go out! 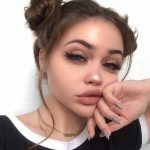 Don’t look at other blog again?